Kenyan athletes are great runners and this website aims to make them proud of their natural talents and to advocate for a clean sport. My name is Justin Lagat. I am one Kenyan athlete who doubles up as a freelance sports journalist covering the sport of Running. A long time columnist with RunBlogRun, Author of Determined Runners and The 17 Week Marathon Training Program that Improved My Time from 2:55 to 2:26, among others. I am also passionate about a clean sport. Most of the athletes who end up doping have been made to believe that everyone who does well in sports does so with the help of drugs; which is wrong. These thoughts are implanted in them by unscrupulous doctors, agents and coaches who take advantage of their innocence regarding matters to do with doping in order to benefit financially from them. My aim is to educate athletes on the dangers of doping, the measures being undertaken by WADA and other relevant authorities to curb it and to reassure them that most of the star athletes who are their role models are actually clean, contrary to what they have been made to believe. It is my hope that a greater awareness of the problem will lead to a desire among all Kenyan athletes, and foreign athletes as well, to remain clean and compete fairly. I will be inviting prominent stakeholders, legendary athletes and influential people to make statements that discourage doping and will post them here. 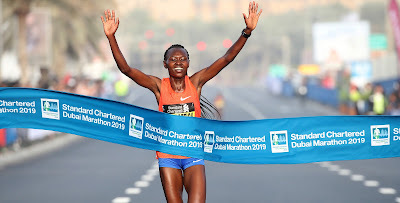 Kenya is known the world over for producing the best middle and long distance athletes and so it is only proper that the campaign against doping among runners begin here in Kenya in order to influence the rest of the athletes in the world. If the best athletes demonstrate to the world that they are running clean, then they will be the best role models to the upcoming athletes. This platform will seek to give a voice to these great athletes so that they may be a positive influence to the young athletes who will follow their example.